WD announces a new, high-capacity configuration of up to 10TB for its award-winning WD Gold™ datacenter hard drives. Designed for modern enterprise storage systems, WD Gold 10TB datacenter hard drives feature HelioSeal® helium-technology for high capacity, power efficient storage for datacenter environments. WD Gold datacenter hard drives are designed for a broad range of applications – including small- to medium-scale enterprise servers and storage, and rack-mount datacenter servers and storage enclosures. 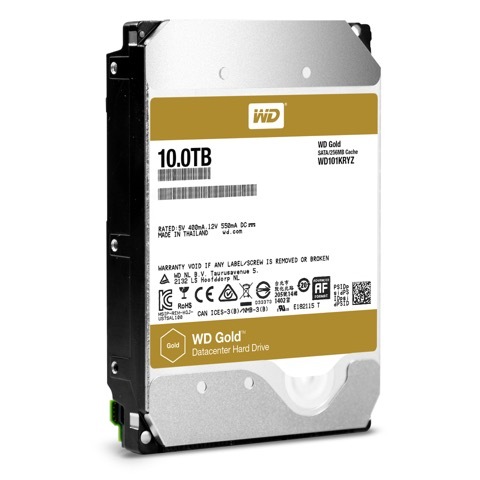 WD Gold 10TB datacenter hard drives feature an optimized design over the existing WD Gold 8TB drives that helps reduce TCO (Total Cost of Ownership) of servers and storage systems through an 8 percent operating power reduction while delivering 25 percent more capacity. This benefits IT administrators challenged with keeping up with growing storage demands on limited budgets. • Improved power efficiency – HelioSeal Technology delivers lower power with an increase in capacity. Power efficiency (watts/TB) during operation is improved up to 26 percent over the WD Gold 8TB drive. • Dedicated Premium Support Line– Western Digital offers a 24/7 premium support line for WD Gold drive customers and can be reached at U.S.: (855) 559-3733; International: +80055593733. 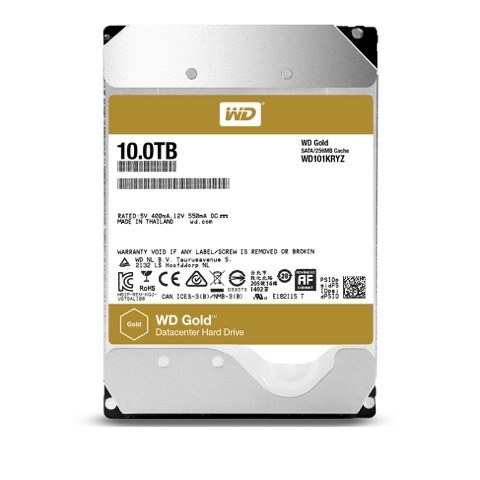 WD Gold 10TB hard drives (model number WD101KRYZ) are currently available at Iontech Technologies Inc. and Ubertech Technologies Inc. More information about the WD Gold hard drives and terms of the limited warranty may be found on the company website at www.wd.com.